Polling is an inexact science in Iran, so most polls should be taken with a healthy dose of skepticism. But the field poll data coming from the U.S.-based Information and Public Opinion Solutions is more reliable than most, even though it’s not based in Tehran, because it conducts daily telephone interviews with a sample of over 1,000 potential voters within Iran. The bottom line is that a runoff seems increasingly likely and, although that runoff seems likeliest to be a faceoff between conservative Tehran mayor Mohammad Baqer Qalibaf and moderate Hassan Rowhani, that’s by no means a certainty. I continue to believe that any of the five leading candidates could ultimately wind up in the runoff, especially if former longtime foreign minister Ali Akbar Velayati withdraws from the race in the next 48 hours in favor of Iran’s top nuclear negotiator Saeed Jalili, which remains a possibility, given that both candidates are viewed has having the closest ties to Ali Khamenei, Iran’s Supreme Leader since 1989. 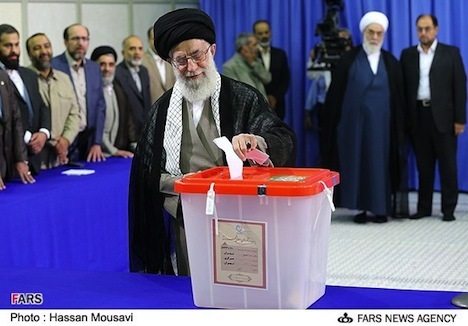 That’s especially true if you believe that the 2009 presidential vote was subject to massive electoral fraud — in such case, it seems possible that Rowhani could be excluded through chicanery. But despite the fact that he’s the most reformist of the six remaining candidate, Rowhani is the only cleric in the race, he has a solid relationship with Khamenei. 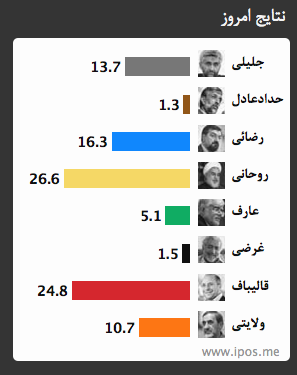 The latest results show Rowhani moving for the first time into the lead with 26.6% of the vote at the same time that former presidents Hashemi Rafsanjani and Mohammed Khatami have endorsed him. Rafsanjani, a political moderate, had registered to run for president in the election, but he was disqualified by the Guardian Council, a 12-member body close to the Supreme Leader that certifies candidates to run for office in Iran. 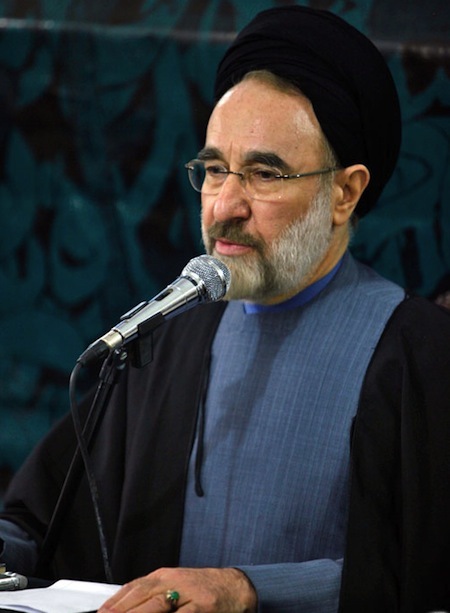 The reformist Khatami, who had supported Rafsanjani’s presidential bid, indicated his support for Rowhani after his former vice president Mohammad Reza Aref dropped out of the race on Monday in favor of Rowhani. 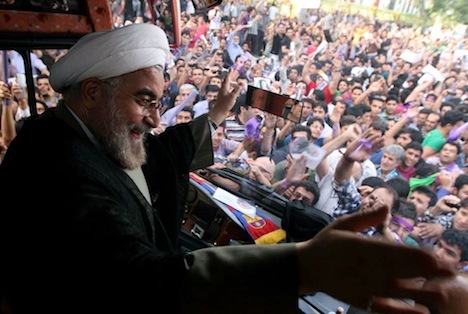 Rowhani’s support has steadily increased from a poll last week that showed him with just 8.1%. 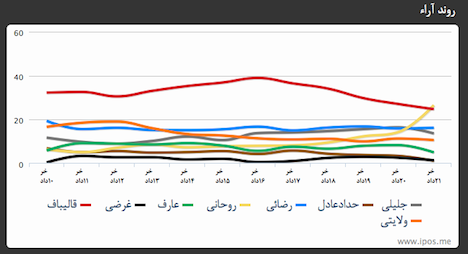 (Online polls have shown Rowhani and Aref with much wider support, but those seem skewed toward wealthier, more urban voters likelier to support more liberal candidates like Rowhani and Aref). Provided that the Guardian Council’s decision stands and former president Hashemi Rafsanjani is not permitted to run for president in the June 14 election, who are the eight remaining candidates from which Iranian voters will choose? Despite the rejection of the candidacies of both Rafsanjani, the current chairman of the Expediency Discernment Council, and Esfandiar Rahim Mashaei, chief of staff to incumbent president Mahmoud Ahmadinejad, the Guardian Council approved eight candidates that include both conservatives and liberals, including two figures who were part of the administration of reformist president Mohammad Khatami. So if Rafsanjani and his supporters ultimately accept the outcome, the race won’t necessarily lack for drama or intensity. With eight candidates in the race, at least initially, the election could well go to a runoff on June 21 if no candidate wins over 50% of the vote, though there’s reason to believe some of the candidates will fall aside as conservatives in particular unite around one or two candidates. 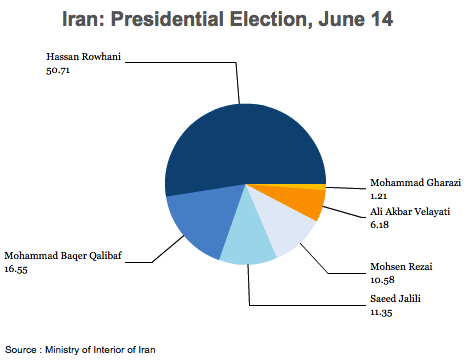 Iran’s Guardian Council has spoken — it has announced a list of eight presidential candidates for the June 14 election. 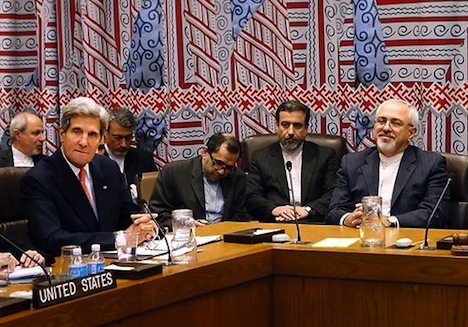 As expected, the list doesn’t include Esfandiar Rahim Mashaei, a key advisor and chief of staff to incumbent president Mahmoud Ahmadinejad. But the list also doesn’t include Hashemi Rafsanjani, one of the original leaders of post-revolution Iran and himself a former president from 1989 to 2007, chair of the Expediency Discernment Council, and a former presidential candidate in 2005 as well. Rafsanjani’s rejection wasn’t exactly unexpected, but it has the potential to make the 2013 presidential election already as politically explosive as the 2009 presidential election, when Ahmadinejad won a victory that supporters of his opponent, Mir-Hossein Mousavi, a former Iranian prime minister in the 1980s, who ran as a reformist candidate with the support of former reformist president Mohammad Khatami. 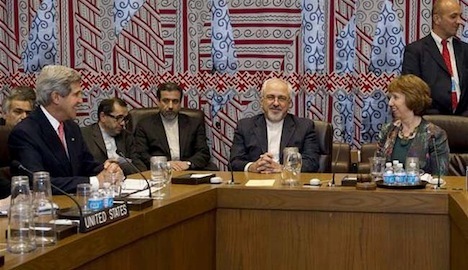 The Guardian Council is a 12-member council that vets presidential and parliamentary candidates and otherwise serves as Iran’s final constitutional interpretative body. Its decisions are widely seen as a means of extending the interests of the Supreme Leader, Ali Khamenei (pictured above), given that half of its members are appointed by the Supreme Leader and the other half are appointed by the Iranian parliament, which is dominated by Khamenei’s conservative (or ‘principlist’) supporters. Rafsanjani, a sometimes-ally and sometimes-rival to Khamenei, dominated Iranian politics in the 1980s alongside Khamenei. 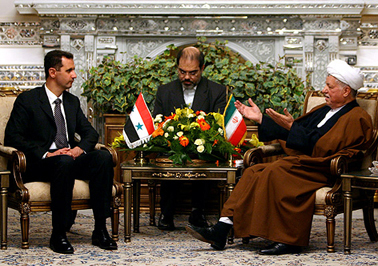 Rafsanjani was the speaker of Iran’s parliament when Khamenei was president. When Iran’s first Supreme Leader Ruhollah Khomeini died in 1989, the Assembly of Experts chose Khamenei to succeed him, but Rafsanjani quickly won the first of two terms as president, therefore extending their dual dominance of Iranian politics through the end of the 1990s. Given that Rafsanjani is the most powerful politician in Iran after Khamenei, he would have had the credibility and legitimacy as Iran’s president to challenge the principle authority of the Supreme Leader. Rafsanjani accepts the decision, reformists back another candidate. 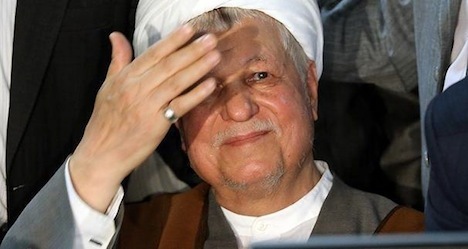 Rafsanjani could simply accept the Guardian Council’s decision, call on his supporters to back another candidate, and the election will proceed without Rafsanjani. Given his relatively cautious and conciliatory past, this may well be the most likely outcome, especially if Rafsanjani, Khatami, Mousavi and others rally around one of the remaining candidates approved by the Guardian Council, not all of whom are necessarily conservatives. Although five of the eight candidates are ‘principlist’ conservatives who are clearly loyal to the Supreme Leader and unlikely to challenge Khamenei’s imperative, the Guardian Council approved Rafsanjani’s former communication minister, Mohammad Gharazi, as well as the chief nuclear negotiator during the Khatami administration, Hassan Rowhani. 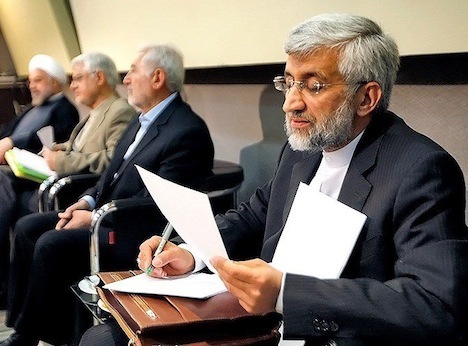 The Guardian Council also approved Khatami’s former vice president, Mohammad Reza Aref, who will be the most pro-reform candidate of the eight. Rafsanjani appeals for Khamenei’s intervention. Rafsanjani could initially challenge the Guardian Council’s decision and call upon Khamenei to step in to allow his candidacy. That’s not unprecedented — in 2005, Khamenei intervened to request the Guardian Council approve two reformist candidates that it had previously rejected. 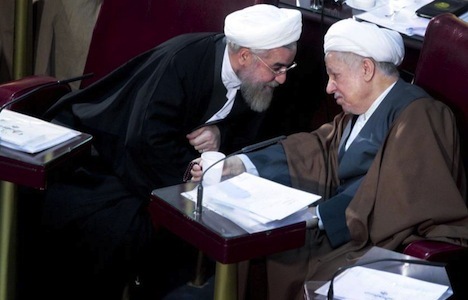 If Rafsanjani does go to Khamenei, and Khamenei ultimately assents to the request, it would allow Rafsanjani to run while also demonstrating in a very public way Khamenei’s dominance. If the presidential drama plays out this way, it wouldn’t be surprising at all — Rafsanjani remains a candidate, but he’ll owe his candidacy to the goodwill of the Supreme Leader. Rafsanjani’s supporters boycott the election — or take to the streets. 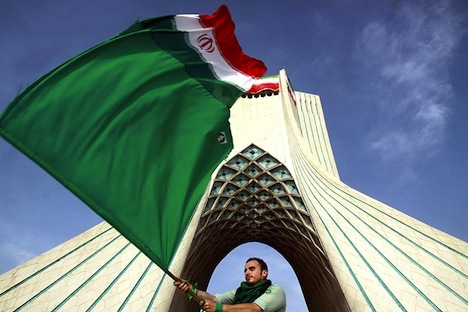 In less than 24 hours, Iranians will know who will be clear to run in next month’s presidential election, the first since the June 2009 race that led to the ‘Green Movement’ that attracted global attention. 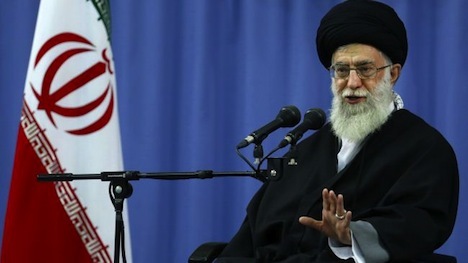 That’s because within Iranian democracy, the Guardian Council, a 12-member body of clerics and attorneys that advises the Supreme Leader on constitutional matters, also functions as a gatekeeper for presidential and parliamentary candidates in Iran. In theory, the Guardian Council approves only those candidates who meet the criteria to run for the presidency. In reality, it means that minor, independent, secular, liberal, and/or female candidates, or anyone who appears too radical a threat to the current system or simply deemed unacceptable by the Supreme Leader, can be excluded from the race. It also means that the Guardian Council can shape the contours of the race by determining the number of relative conservatives and reformists. As such, although 686 presidential candidates — including 30 women — have registered to run in the June 14 presidential race, just a handful are expected to be confirmed to run. In the 2009 election, for example, the Guardian Council approved just four candidates out of 476 initial hopefuls; in the 2005 election, the Guardian Council approved just six candidates from among 1,014. But the question on everyone’s mind is whether the Guardian Council will approve Hashemi Rafsanjani (pictured above), widely seen as the most powerful politician in Iran after the Supreme Leader, Ali Khamenei. Rafsanjani, who served previously as Iran’s president from 1989 to 1997, is as the current chairman of the Expediency Discernment Council, a 34-member body that mediates between the elected Iranian parliament and the Guardian Council. He placed first in the first round of the 2005 presidential election, but ultimately lost widely in the runoff to the more conservative and populist Tehran mayor, Mahmoud Ahmadinejad. As Khamenei’s contemporary, Rafsanjani was a political rival in the 1980s when Khamenei was Iran’s president (before his 1989 elevation as Supreme Leader), and that makes him a potential president with the profile and support base to potentially challenge Khamenei as Supreme Leader. On the other hand, Rafsanjani is someone Khamenei knows well, even if they’re not best friends, is somewhat of a consensus-builder, and would be unlikely to unleash the kind of erratic leadership that Ahmadinejad has embraced. 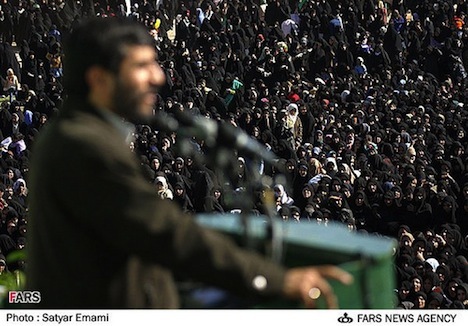 In light of the controversial aftermath of the 2009 election, during which ‘Green movement’ supporters of Mir-Hossein Mousavi took to the streets in opposition to the legitimacy of Ahmadinejad’s reelection, the regime’s crackdown left many reformists, journalists and others killed or in jail (Mousavi and others remain under house arrest even today). 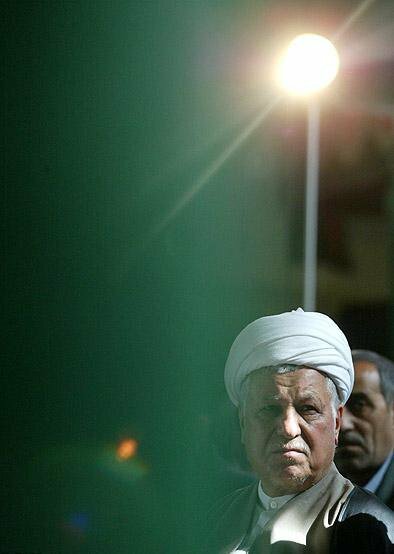 As a result, many of the movement’s backers have settled upon Rafsanjani as their preferred candidate. That includes former president Mohammad Khatami, who served as president from 1997 to 2005 as a strong advocate for liberalization in both domestic and foreign affairs, though he wasn’t necessarily effective at enacting reform. Rafsanjani himself didn’t openly support the ‘Green movement’ in the wake of the 2009 election, but he made some remarks indicating, ever so gently, his preference for the right to open speech, free assembly, and greater press freedom, and his opposition to the harshness of the crackdown. Though he’s certainly not as reformist as Mousavi and Khatami, he’s never been a full-throated conservative either, which makes him in many ways a great compromise choice in light of the post-2009 battles. At age 78, he was Iran’s president at the end of the war with Iraq in the 1980s, so he’s far from the kind of fresh face who would push for rapid change. 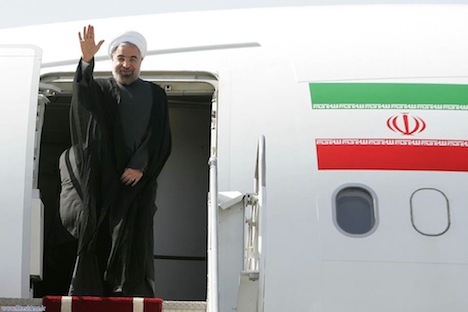 But for all the reasons above, he’d start the race with the support of Iran’s reform movement and he has the personal platform to push through reforms that Khatami could not a decade ago. Iran’s Guardian Council Spokesman Abbas Ali Kadkhodaei says the body may consider the physical condition of presidential hopefuls in its approval process. If an individual, who is supposed to carry out a macro executive task, can work for only a few hours a day, he cannot be approved, Kadkhodaei said in an interview with Iran’s Arabic-language al-Alam news network. The Guardian Council may take physical condition into consideration in its vetting of presidential hopefuls but no discussion has been held yet regarding the issue, he added. Given that Khamenei is just five years younger than Rafsanjani, I’m not sure that’s such an incredibly useful precedent, and I’m not sure that it will ultimately be the reason for his disqualification, if it happens. So what happens if Rafsanjani isn’t permitted to run?